Tears marked rejection and anger for a local family who says their stepdaughter was denied enrollment by Cornerstone Christian Schools because she is Muslim. The stepfather, Imad Khalil, and his stepdaughter, Pamela Moubarak, posted a video of her experience on Facebook and the video went viral. According to the Texas Private Schools Association, if a school is completely privately funded, the admissions policy is clear, and the school treats all applicants the same, the school’s board has the right to create their own rules, which include who can and can’t attend based on religious belief. Khalil and his stepdaughter say that they decided to make the video because they were angry and shocked that in today’s day and age such a policy was in existence. The video was posted over the weekend and more than 100,000 people have viewed the video. It’s created a dialogue surrounding the Moubaraks’ experience searching for a new school after moving to San Antonio from Lebanon less than two weeks ago. "We were so excited during the walk, during the tour,” Moubarak said. “I told my mom, ‘This is the school I want to go to.’"
After touring the school for more than an hour, she says that her family began the application process at the office, only to find out she did not meet the school’s criteria. "When I told them I was a Muslim, they just closed the book," Moubarak said. She says that she informed the staff that she was willing to learn about that Christian faith and attend the required biblical classes, but it wasn’t enough. According to Cornerstone Christian Schools, at least one parent or legal guardian must be a professing, practicing Christian for a student to be admitted, but it didn't make the blow any easier. "A lot of people are telling me, ‘Oh well, you should research it,’” Khalil said. “Well, in a million years, I would not expect them to reject my daughter because of her religion." Dr. John Burke, a religion and politics professor at Trinity University, weighed in on the viral video. "One of the ironies in this case is that oftentimes Muslims will enroll either their children in Christian (and especially Catholic) schools because they are faith-based," Dr. Burke noted. "CCS is a Christian school that teaches the tenets of our faith in the classroom. It is not in a child's best interest to be taught a core theology at school that contradicts the core theology taught at home. We feel such a situation could undermine the parents' efforts to pass their faith onto their child which would imperil the parent-child relationship. It is out of respect for the faith of others and the central importance of family that we choose to ensure no CCS student is put in such a position. CCS treats every individual that applies to our institution with respect and would hope our faith tradition be accorded the same." 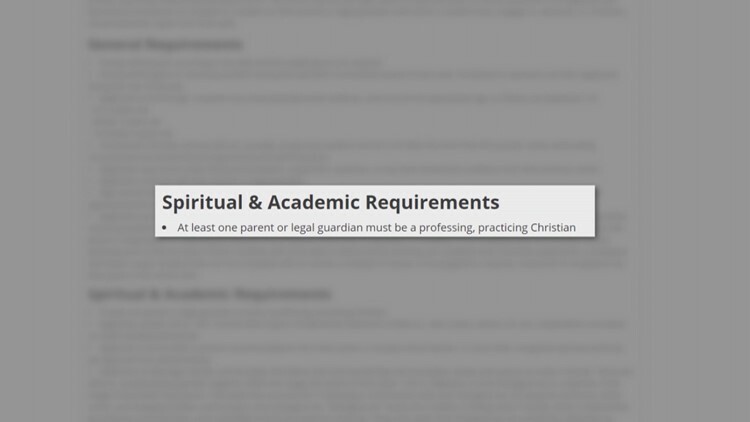 CCS is not the only private religious school with required rules and regulations for admission. The Christian School at Castle Hills and San Antonio Christian School both require someone in the family to be Christian to enroll. 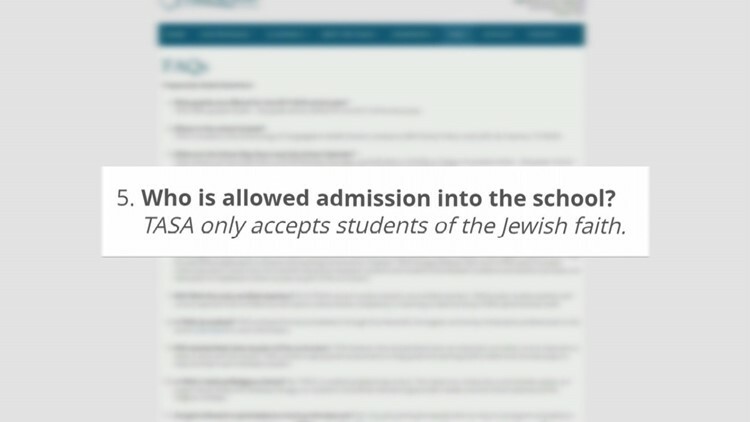 Torah Academy of San Antonio, a Jewish school, only accepts students of the Jewish faith, according to the school’s webpage. At least three schools, including the Islamic Academy of San Antonio, St. Luke’s Episcopal School, and TMI Episcopal accept students of all religions. "[TMI] showed me the church and they showed me everything and they accepted me with my religion,” Moubarak said. Khalil wishes all private schools accepted students from all religion and openly welcomed new worshippers. "Now she is old enough, she is 15 years old, and she can make that decision on her own,” Khalil said. “Maybe she says, ‘You know what? I want to be Christian. I believe in it. That’s who I want to be.’"
It's a debate online with people defending both sides. 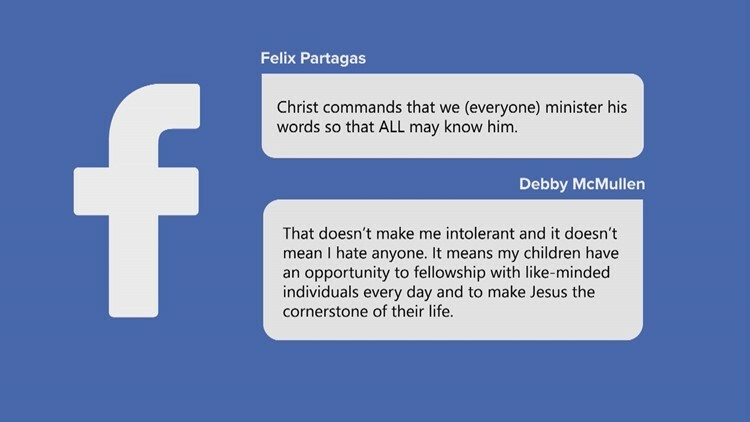 "That doesn't make me intolerant and it doesn't mean I hate anyone. It means my children have an opportunity to fellowship with like-minded individuals every day and to make Jesus the cornerstone of their life." 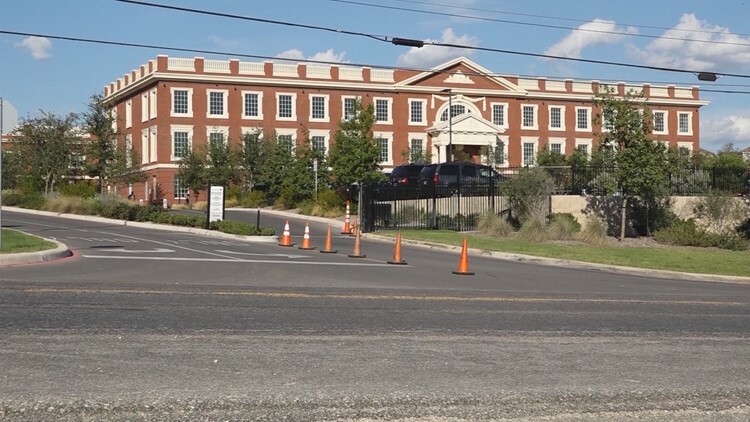 In the end, the family says they just wish Cornerstone Christian Schools would have been up front about their religious requirements before the tour, instead of getting their daughter excited about the possibility of attending. Moubarak now hopes to attend Clark High School, a public school. She also hopes to try out for the volleyball team.